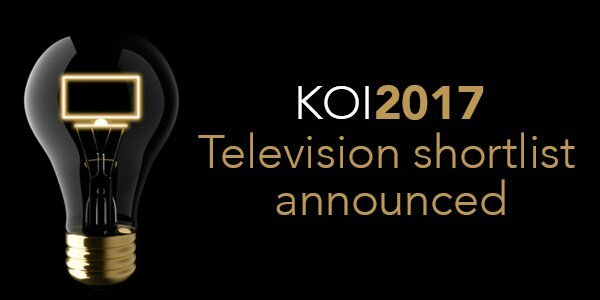 The 2017 Knight of Illumination (KOI) Awards has announced this year’s shortlist of lighting and video designers recognised for their creative work in Television. 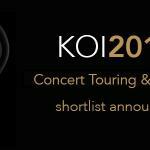 The winners will be announced at the tenth anniversary KOI Awards ceremony, to be held at London’s Eventim Apollo, Hammersmith, on 17 September. 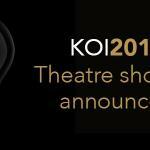 The KOI Awards was established to publicly celebrate the achievements of lighting and video designers whose work in the sectors of Television, Theatre and Concert Touring & Events has been showcased in the UK in the past 12 months. The event is now one of the most celebrated nights in the live entertainment design industry calendar, with more than 500 industry creatives and professionals in attendance at last year’s celebrations. Chairing the Television category is STLD chair Stuart Gain. He was joined by a judging committee comprising Stephen Neal, BBC Staff Television Director, lighting designer and STLD Secretary John O’Brien and Jane Shepherd, freelance television set designer. The prestigious ceremony will take place on 17 September at the iconic Eventim Apollo, Hammersmith, where the KOI 2017 winners’ creative work will be celebrated and recognized in the presence of their colleagues and peers. Headline sponsors of the 10th Knight of Illumination Awards are OSRAM and Claypaky. Spotlight Sponsors have been announced as ADB, Altman Lighting, Avolites, d3 Technologies, ETC, GLP German Light Products, Green Hippo, Hawthorn, HSL, Light Initiative, MA Lighting, Philips Vari-Lite, PRG XL Video, Robert Juliat and SLX. Hawthorn is once again returning as technical supplier for KOI 2017.